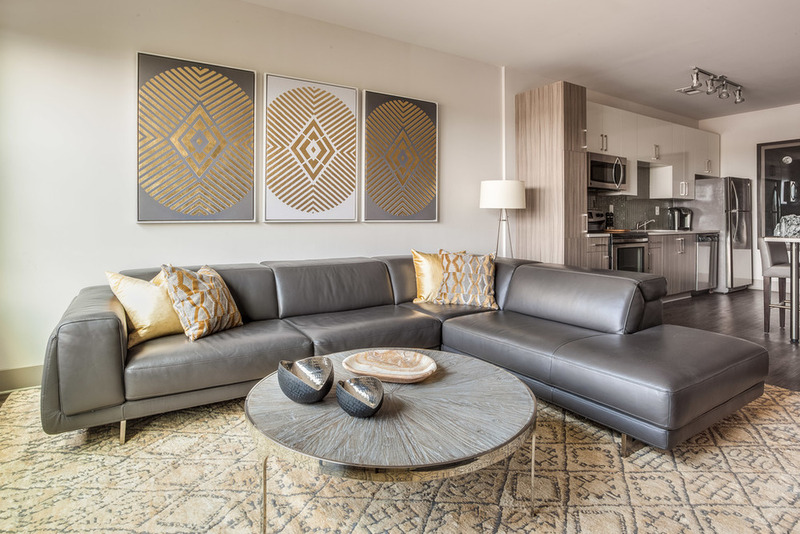 This flat is situated in a new luxury mid-rise in the center of a young and hip Atlanta neighborhood. City Collection's designs pair impeccably with the chic yet cozy vibe of the home. In this location you will find our Soho Sectional in Grade 3 Elephant Gray leather and our Saveso Platform Bed in Sterling fabric.